It was a nice day for a Saturday bike ride. Out Mount Baker Highway to Highway 9. Then south on 9 through Acme to Park Road. Took this image near Saxon Road. 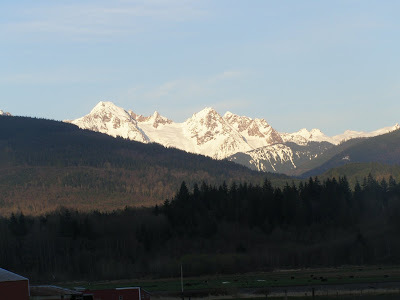 Then back into town along Lake Whatcom and Lake Louise Roads. Traffic wasn't too bad. 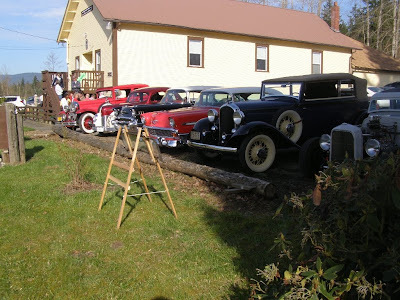 Along Mount Baker Highway, Rome Grange was celebrating it's 100 year anniversary. I got to talking to someone in Bellingham who suggested I go out there, rather than ride to Ferndale just to turn around and come back. It was fun to stop by there on part of my loop and watch them record a radio drama for American Museum of Radio and Electricity. They also had another skit about the history of Rome Grange. A few antique cars were parked there as well. Then it was on down the road for the rest of my leisurely route. I think around 45 miles, but I forgot to put on my odometer.